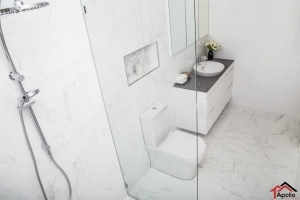 Part 2 of Nathan and Melissa’s Apollo Improvement was their Ensuite. Keeping the same design style as the bathroom, we were able to create another beautiful space for this wonderful couple to wash their days away. 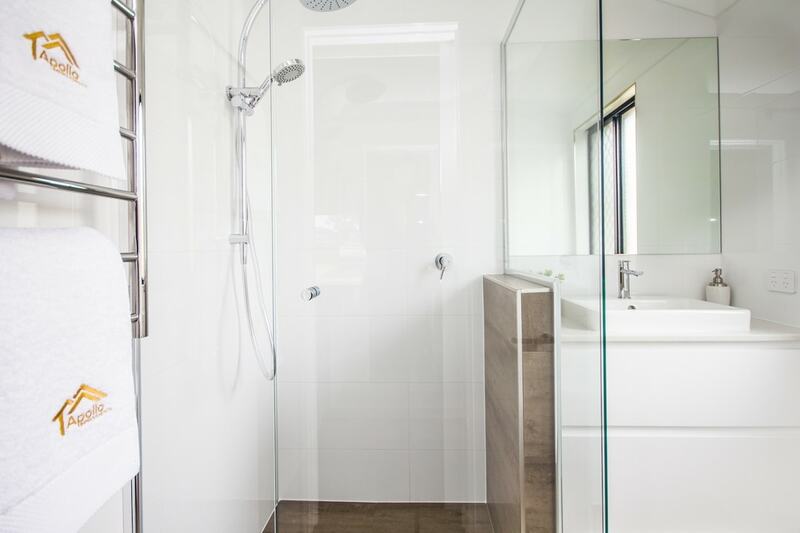 Already a tight space, we replaced the existing ensuite door with a pelmet sliding door on the bedroom side of the room, allowing the addition of a heated towel rail, just like the bathroom. 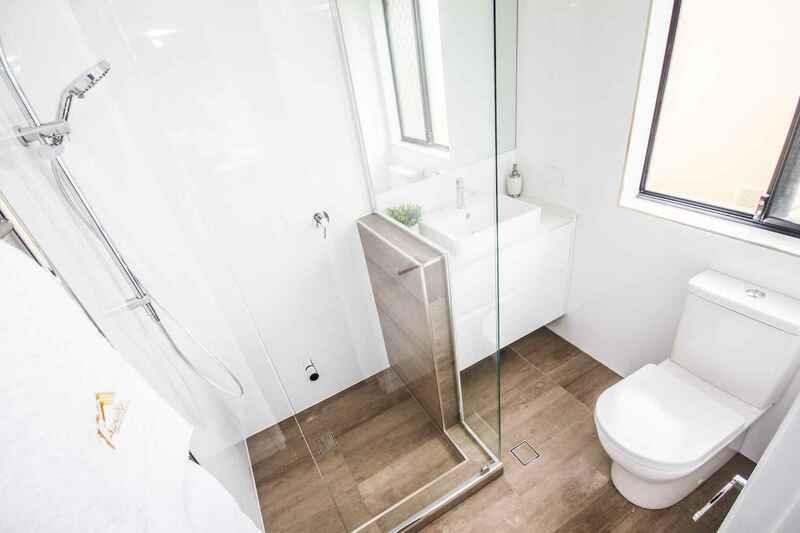 Again we combined the Lappato finish floor tiles with a sleek and simple white gloss wall tile. Mission ACCOMPLISHED.